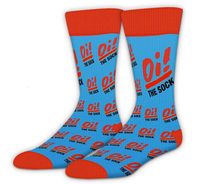 Your new favorite socks are now in stock! These knitted, cotton blend crew socks feature terry cushioning for added comfort. Fits men’s standard sizing (US 10 – 13).